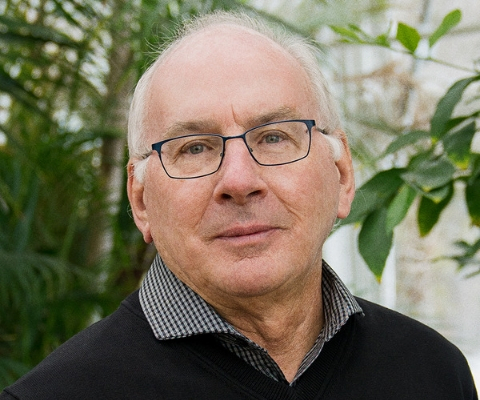 The Royal Netherlands Academy of Arts and Sciences awarded the 2018 Dr. A.H. Heineken Prize for Environmental Sciences to Dr. Paul Hebert, Canada Research Chair in Molecular Biodiversity at the University of Guelph. Known globally as “the father of DNA barcoding,” Dr. Hebert is celebrated for his pivotal contribution to developing a genetic barcode capable of classifying every biological species on Earth. Similar to how a supermarket scanner uses black and white UPC barcodes to identify different food products, genetic barcoding involves small DNA fragments that can be used to identify different species. As the director of the Centre for Biodiversity Genomics in Guelph, a global leader in the field of DNA barcoding, Dr. Hebert is leading the International Barcode of Life Project, which aims to develop a reference library of more than 6 million DNA barcodes derived from over 500,000 species. Ultimately, this project will empower anyone to know, in minutes, essential information about any animal or plant, holding out the potential to better protect forestry and agriculture, to intercept invasive species sooner, and to strengthen ecosystem monitoring and conservation. Dr. Hebert studied biology at Queen’s University before transferring to the University of Cambridge for his graduate degree in genetics. After obtaining his PhD in 1972, he was a Rutherford Fellow at the University of Sydney in Australia. Returning to Canada in 1976, he took up a faculty position at the University of Windsor where he was a professor and director of its Great Lakes Institute. In 1990, he was appointed Chair of the Department of Zoology at the University of Guelph, a position he held until taking up a Canada Research Chair in 2001. In addition to holding three honorary doctorates, he is a Fellow of the Royal Society of Canada and was invested as an Officer of the Order of Canada in 2015. 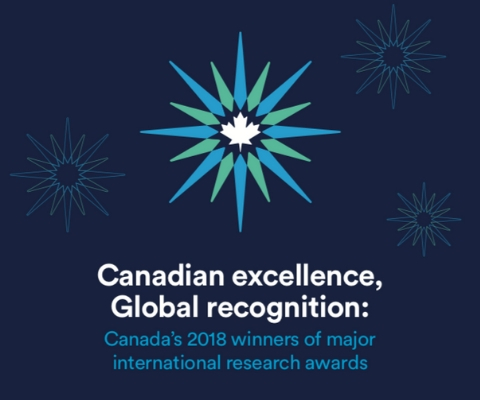 *Paul Hebert is one of 18 Canadian winners of major international research awards in 2018 featured in the publication Canadian excellence, Global recognition: Canada’s 2018 winners of major international research awards.